← Paterson promises the world to Levels Farmers – they want the Sun too. Tomorrow sees an event to bring together organisations and individuals who are very worried and angry about Biodiversity Offsetting. The Forum on Natural Commons event “Nature is not for sale” is taking place tomorrow evening in Regents Park, London. This is directly opposite the venue for a big conference on biodiversity offsetting called “To No Net Loss of Biodiversity and Beyond” which I found amusing, because to my mind what lies beyond No Net Loss is…well, Net Loss. I guess they were thinking about Net Gain. I really a half glass empty sort of person. I’m not going to either of the events, though I would certainly liked to have gone to both. Work intervenes though. Hannah Mowat at FERN is helping organise the Natural Commons event and she is also working on getting the press interested. She pointed me towards a very recent case involving Biodiversity Offsetting which I found particularly worrying and I thought I should share it with my readers. 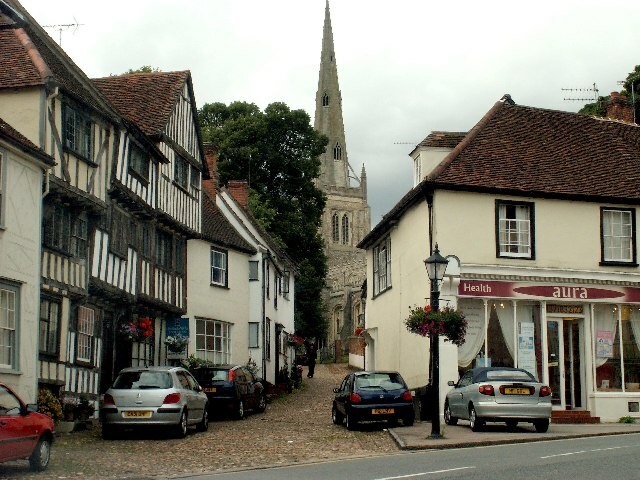 I know the lovely village of Thaxted in Essex from my childhood. It’s famous for its church with a spectacular spire which looks like a space rocket (I was a child of the space age) and lovely half timbered buildings. Not surprisingly housing developers want to build lots of new homes around it. As a condition on this development, slow-worms were translocated onto the adjacent pasture, which was noted as being particularly rich in wildlife; a planning condition stated that this field be protected as a slow-worm refuge until 2017 and that some scrub management be carried out to maintain open areas for the lizards. Some plants were also translocated onto the adjacent field as well as the slow-worms. As there were 77 pyramidal and 102 bee orchids on the adjacent field, it was decided not to bother to translocate the single bee orchid found on the development site. In March 2013, the developer then applied for permission to build another 47 homes on the field where the slow-worms had been translocated to, which had been already identified as being rich in wildlife. This also despite the fact they had already signed up to keeping it for the slow-worms until 2017. Another ecological survey confirmed that the field was unimproved neutral/calcareous grassland supporting a range of wildflowers, including several species of orchid, common knapweed, agrimony and field scabious. Because it had not been managed for quite a while, it was about 2/3 grassland and 1/3 mixed scrub, with large ant-hills. The consultants adjudged it to be MG1e, which sounds sensible to me, based on the description. The developers proposed applying biodiversity offsetting to the application and promised to provide “no net loss” or even “net gain” or biodiversity enhancement, as they styled it, as a result of the development.They indicated that their proposals would lead to a gain of 2.9 conservation credits above the value they had assessed the site as having (20 credits.) In the world of biodiversity offsetting that is a 10% net gain. The Environment Bank, owned by Natural England deputy Chair David Hill, provided the technical advice on offsetting to the developers; Essex was one of the locations where the Defra Offsetting Pilot was running. The applicant’s consultants assessed the site against Essex Wildlife Trust’s Local Wildlife Sites selection criteria and decided that it didn’t qualify for LWS status. Essex Wildlife Trust had not designated it as a Local Wildlife Site at that time. It does not appear that Essex Wildlife Trust objected to the application at the time. Natural England certainly didn’t – they sent one of their standard letters. Nevertheless, the Council rejected the planning application, partly on the grounds that the site was unimproved grassland, partly because the applicant was going to trash the mitigation site for the previous development; and partly because the council felt that because this was important habitat it shouldn’t be subject to offsetting. The proposed development would result in the loss of unimproved grassland/lowland meadows. Although the grassland matched would fall under the MG1 type grassland, this is a MG1 species-rich sub community which is transitional to MG5, i.e. this site could be reverted to MG5 with the correct management and therefore the development proposed would result in the loss of high quality grassland. The proposed development would result in the loss of the mitigation site and measures approved under condition 15 of planning permission reference UTT/1562/11/OP. The mitigation approved under condition 15 requires the management of this site for a minimum of 5 years until 2017 however the loss of this mitigation has not been adequately addressed by the applicants in the submitted documents for this proposal. The applicants have proposed biodiversity offsetting as part of the proposed development. The Council’s retained Ecologists have raised concerns regarding biodiversity offsetting in their letters dated 6 June 2013 and 24 July 2013 and have questioned whether this approach is appropriate for this site. In addition, the biodiversity offsetting calculations have been queried as the distinctiveness of the unimproved grassland is considered to be high and not medium which was used for the calculations. The applicant appealed. They got a legal opinion which challenged the council’s ecologist, picking holes in their argument, pointing out inconsistencies. They picked up on the knotty question of the MG1 vs MG5. MG1, regardless how close to MG5 it might be (and this one was fairly close by the looks of it) is not a priority habitat in our dotty conservation world. Never mind that it is stuffed full of bee and pyramidal orchids, never mind that it has lovelies like common knapweed, field scabious and agrimony. never mind about all the ant-hills. It hasn’t been managed for long enough for false oat grass to replace crested dog’-tail as the main grass in the community, so it falls out of protection and into the abyss. How mad is that? It only takes a couple of years management to get it back into MG5. In any case – it’s obviously important wildlife habitat, everyone agrees it’s unimproved neutral grassland. But that is where the lawyers can have a field day. As the lawyer says “There is no means to compel such management” so the fact that this habitat could easily become one that is give some sort of protection holds no weight. The lawyer looks at the Essex Wildlife Trust Local Wildlife Site selection criteria – again there is no mention of MG1. Finally the lawyer makes reference to Biodiversity Offsetting and when it should and should not be used. He talks about the mitigation hierarchy and the need to avoid damage first, but then suggests that this only applies to sites with statutory protection eg European Sites and SSSIs, not Local Wildlife Sites. I think is a bit of a stab in the dark to be honest because it doesn’t take into account the replaceability issue. Old grasslands such as this one at Thaxted are not replaceable and this is part of the Biodiversity Offsetting test, where if irreplaceable habitats are to be destroyed, they by definition cannot be offset. At the planning Appeal Essex Wildlife Trust informed the Inspector that they believed the field was sufficiently important to be designated as a Local Wildlife Site and they were in the process of doing this. However the Inspector last week gave his decision and has allowed the appeal. So this little Essex field, full of wildlife, will be lost to development. The Inspector concluded that the Council has messed up by failing to provide a sufficiently large 5 year housing supply (that is had identified land which could be developed) and this triggered a clause in the NPPF which means that land outside the current development boundary ie greenfield sites, can be given planning permission, when it would not otherwise have done (I think – this is a bit outside my comfort zone). From our perspective the more ominous conclusion the inspector came to was this: as the planning obligation requiring management of the site ends in 2017, there is no future for the wildlife on the site. The new “offset” site will be larger and management will be guaranteed for 25 years. On this basis he accepted that the “potential grassland” on the offsetting site will have a higher value than the existing appeal site; and this will therefore deliver environmental gain. This is truly an Alice in Wonderland world where existing high nature value areas are deemed of lower value in the planning system than non-existent potential wildlife areas, because the management needed to maintain or restore the wildlife value of the existing one is deemed impossible to achieve, while the management/funding associated with creating the future wildlife area is assured. I think this sets a very worrying precedent and is exactly the sort of consequence of adopting a biodiversity offsetting approach. This entry was posted in biodiversity offsetting, housing, meadows, Uncategorized and tagged biodiversity offsetting, housing, meadows. Bookmark the permalink. 24 Responses to Biodiversity Offsetting: Planning Appeal agrees housing on Essex flower meadows will create “environmental gain.”. The farce of the concept of “off-setting” is upsetting in general (as with climate stuff, and medieval sinning). I am going to follow your blog to keep up with this issue. Thank you. Hi Miles, interesting blog but the links don’t seem to be working. Can you update them so I can take a look at the references? I just checked them and they all work apart from the first one – hopefully it’s fixed now. If not, I’ve added in an alternative route to that doc, just below it in the blog. 1. Is the likely future management of a site material when considering its biodiversity value? My understanding is that it is not material, although the inspector chose to refer to this matter in his report. 2. Is the restoration potential of a site material when considering its biodiversity value? National planning policy does not go into this level of detail. Perhaps we should encourage planning authorities to say that it is in their local plans – there is nothing there to stop them? 3. Should the local planning authority have required in perpetuity (or at least a much longer) management period for the development site? I suggest the LPA messed up here. 4. Should the management period of the site used for compensation be longer than 25 years? I would have thought this is not sufficient. 5. How should biodiversity be treated if it is not of high enough quality to be classed as of value (i.e. if it fails to meet the habitat definitions in the S41 list http://www.naturalengland.org.uk/ourwork/conservation/biodiversity/protectandmanage/habsandspeciesimportance.aspx)? In this regard the Defra offsetting metric is an improvement over the status quo which says that if it’s not on the list then it is not material (as I understand it). thanks Charlie. Yes this case is an indictment of the planning system, but it also shows to me that offsetting is now accepted as part of that system (by the Inspector), even before the pilots have been completed, or before Defra announces its next steps. There was a case at Bicester (Cherwell DC) – Gavray Meadows local wildlife site. I blogged about this case a couple of years ago on the Grasslands Trust blog – http://grasslandstrust.wordpress.com/2011/10/14/from-bad-to-worse-planning-and-wildlife/. The developers argued that they would be delivering environmental gain by building houses in an lowland meadow, because the meadow was neglected and therefore had lost quality. Cherwell agreed but the case was taken to JR by Dominic Woodfield of Bioscan who won as the Judge agreed the Council had accepted an inadequate EIA prepared on behalf of the developers. I can’t find the judgement just now but will try and track it down as it might be relevant. Timescales are a significant issue with habitat creation – more so than they are with habitat restoration. It would be possible to restore the Thaxted meadow to “favourable condition” in a few years, through grazing, mowing and scrub management. To create a grassland of equivalent quality and therefore value from an arable field would take far longer – decades if not more, and it would still not be the same grassland as the one destroyed. There is an ineluctable flaw with offsetting biodiversity from old nature sites – time. The lifetime of the habitat and the initial conditions that existed at the time the habitat developed, cannot be recreated. Clearly any sites which neither support S41 features nor are designated as local wildlife sites are vulnerable. And for unimproved grasslands there are still plenty of sites such as this Thaxted site which thus far have not come to the attention of naturalists. But surely the whole point of the planning system (and the EIA process) is that it does enable these sites to be protected even if they have not been previously recognised for their biodiversity? And actually the EIA for this development was pretty good in that it identified the site as having biodiversity value, which the Council also recognised – and rejected the planning application on the phase 2 site. It was the Inspector who over-rode these concerns and this evidence, concluding that something better could be created elsewhere. Actually I think there is a good argument to make that the site was priority habitat, but in an unfavourable condition. Lowland meadow and pasture (a Section 41 habitat), if not managed properly, will change into the type of MG1 false oat-grass grassland found at Thaxted in a few years. Natural England has now accepted that sites can be designated as SSSIs even if they are in unfavourable condition – and that could include false oat-grass invasion of lowland meadow habitat. Yet for priority habitat outside SSSIs a different set of rules seems to apply. Natural England have not yet come up with a standard approach to assessing condition in priority habitat outside SSSIs and in that respect there is still a grey area around the definition of priority habitat. At what point does priority habitat in unfavourable condition (for example because management has ceased) become non-priority habitat of moderate interest? That distinction has not been clarified either in planning law or through biodiversity policy. A similar argument was made at the Lodge Hill SSSI confirmation hearing. The developers consultants argued that because the grassland at Lodge Hill did not conform to the archetype of lowland meadow, therefore it was not sufficiently valuable to warrant protection as SSSI. They did not argue about whether the grassland was unimproved, merely that because of its treatment (management) by the army, it was not a “good example” of lowland meadow and therefore shouldnt be protected. I am glad to say that the conservation agencies are drafting new guidance on grassland SSSI designation to get rid of this spurious “good example” wording. I understand that biodiversity offsetting is permitted under the current planning system in England, but under the concept of “offsite mitigation” and without any nationally agreed metrics or brokerage systems? I could provide an example from Preston City, Lancashire – but only in abstract rather than concrete (!) terms as though consent was granted subject to s106 &c, the bottom fell out of the markets almost immediately afterward and it’s not been implemented. thanks Dave. I have to say I see no specific mention of offsite mitigation in the NPPF or companion documents. Para 118 of the NPPF and para 018 of the planning practice guidance now seem to be the only current pieces of planning guidance applicable, until we see the new PPG9. Where is this glass anyway? I haven’t seen it. Thanks for this Miles. But to return to the question I posed: On what basis should lower value (i.e non SSSI and irreplacable habitats as per NPPF) biodiversity be compensated for if it is decided that it should be lost to development? Thanks Charlie. I am more interested in looking at the value to society of things like biodiversity, clean water, carbon storage and so on, and how those things are valued when they are maintained or eroded. It seems rather pointless developing a metric to assess losses of biodiversity to the planning process, as a means of achieving “no net loss”, when the main cause of biodiversity loss is agriculture, not development. I gave a short presentation on this case at the Forum on Natural Commons event last night, where I also found about about this write-up: I wish I’d seen it earlier, as there are several good points in here I would have liked to cover. Like you Miles, I’ve delved a bit into the voluminous documentation, and found some fairly shocking stuff buried in there. The previous mitigation has been so temporary that some of the unlucky lizards might end up getting moved twice in their short lifetimes: I understand the earlier phase of new housing is not even built yet. It’s a shame that no-one found a creative way to present the bare-faced cheek involved here as a material planning consideration. I suppose the rather depressing spectacle of the developers getting their own ecologists to rubbish the Council’s (and the local Wildlife Trust’s) assessment of the biodiversity value of this grassland is not in itself unique. Their subsequent weighing in with Counsel’s opinion backing up their version, in order to intimidate the LPA into backing down, is also sadly far from new. But what does seem pretty new here, and also clearly played a role in Uttlesford rolling over and not contesting the appeal on the day, is that both the LPA and the Inspector seem to have taken the Environment Bank’s involvement to add credibility and ‘objectiveness’ to the developer’s proposals. This despite the fact that as far as I can tell EB did not do any ecological analysis themselves, or even in the end broker the offset deal (the main service they claim to be offering). As far as I can make out from the public-domain case documents, they basically just applied the DEFRA metric to the data they were presented with, albeit they did this three times at different stages of the haggling process. And there isn’t even a formal offsetting policy in place yet. Thanks very much Mike. Between us then I think we have put this case into the public domain and it’s there for others to scrutinise. I think the Inspector was rather premature in even commenting on the offsetting given it isnt government policy or in the local plan – could this be subject to JR? I hadn’t picked up that the Environment Bank aren’t going to be providing the offset – do you know who is? I will try and do some more digging and if I find out anything else will write a follow-up post. The offset is to be provided on land at Great Dawkins Farm, Hempstead. The offset provider and two of the applicants are listed on company director search websites as living within half a mile of each other in the small village of Hempstead. I doubt they were introduced by the Environment Bank. The documents, though oddly incomplete in places, show EB producing criteria for an offset site, and later assessing the one that was subsequently found. Great blog by the way – I also hope we have reached peak Paterson, though I fear there may yet be more to come. Thanks very much Mike. The Uttlesford DC planning webpage is down again – seems to be quite a regular occurrence. I had a look at Aerials of Great Dawkins – seems to be all arable. Glad you enjoyed the blog. What are the odds of OPatz being replaced after Newark? Quite high I would have thought – he might even think about jumping ship to join UKIP! Mostly arable, yes, but the offset is on a 4-5ha snippet of apparently unimproved “poor condition” grassland adjoining Holbrook Wood, just north of Hempstead (listed on some of the documents as Great Dawkins Farm and on others as Hill Farm). Maps and management plans are in the link I posted above – happy to send my downloaded version if their site stays crashed – would be good to hear your expert views on the apparent plan to upgrade it to MG5 within 10 years. I think having a climate-sceptic environment secretary might be someone’s cunning plan to seduce UKIP voters back to the Tories, in which case he’ll probably be in post until at least the general election. I had a look at the maps and aerials for Holbrook Wood, but could find no aerials before 2000. However the maps show very clearly that the field east of Holbrook wood, which is now “grassland” was part of a larger arable field until recently. I suspect what they are calling unimproved grassland is an area that went into set-aside. It’s certainly not unimproved grassland in the sense that the meadows at Thaxted are/were. I’ll try again and download the info from Uttlesford. I had a look at the offsetting proposals. The field definitely sounds like it has developed into some fairly unintersting grassland over the last 10-20 years. I was very surprised to see that it was already in a Higher Level Scheme agreement – I wonder when that comes to an end. Why the field couldnt have been restored as part of the HLS agreement, I do not know. It certainly won’t compensate for the lost wildlife value of the field at Thaxted in the 25 year term of the offsetting agreement. I haven’t been convinced about BO since the beginning – how can you ‘replace’ habitats?! This news increases the ominous feeling in my tummy. It’s only the beginning I think. Great blog Miles. Unfortunately I wasn’t able to attend the BBOP or Natural Commons conferences either, but I hope the papers will be widely available. I may be stepping outside my comfort zone of ancient woodland, but the Thaxted offsetting example highlights, amongst others, one particular element any legislative BO framework requires if it is to have any credibility – a binding legal and financial commitment to manage the compensatory habitat. Such conservation covenants should have a 60 year minimum life, according to the parliamentary Environmental Audit Committee (in the light of its inquiries into BO and HS2). I’ll be posting a variation on this comment on the CIEEM and BBOP pages on LinkedIn, hope I won’t get taken out! Thanks Richard. 60 years would be a start when it comes to creating new habitat, but if there’s no obligation to manage to any particular standard, or sanctions if the habitat doesnt meet a set of standards after a period of time – it’s all meaningless greenwash. 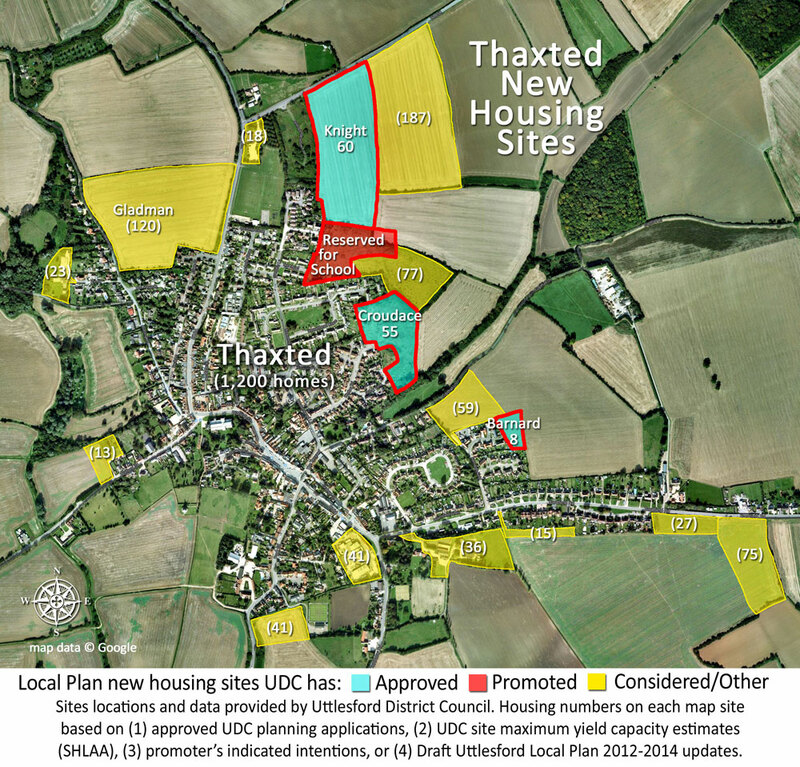 And Thaxted is a very good example of compensation being moved around for the convenience of the developer, as you rightly say. No solace for this quantum!